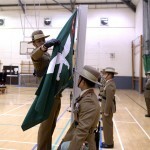 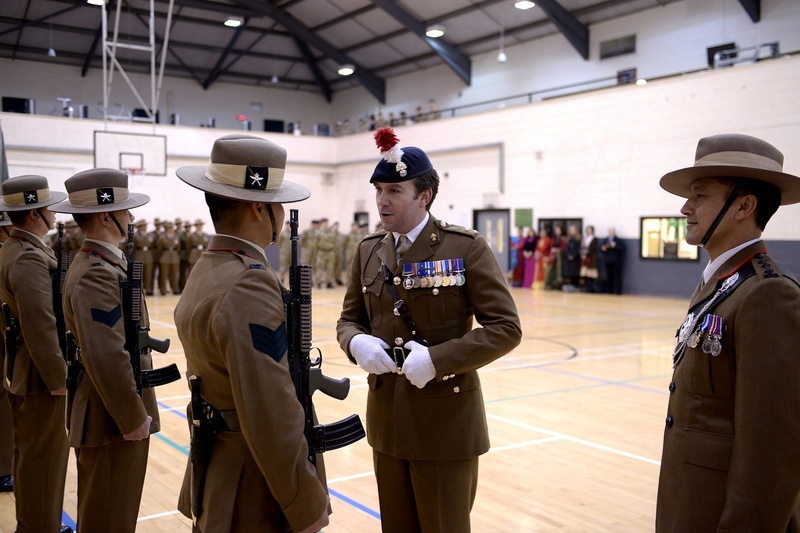 History suggests that Gurkhas first came to serve in Brecon, Wales in 1974, but, it was not until 12 December 1980 that a Company with a total strength of 85 came into existence and was to be known as Gurkha Demonstration Company (GDC) – under the old Non-Commissioned Officer’s Tactical Wing.GDC was re-titled as ‘Gurkha Company Mandalay (GCM)’ in September 2004, from which three platoons and a Company Headquarters’ was formed with a total strength of 124 serving Gurkhas. 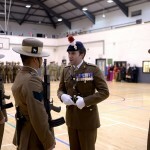 Due to the new structure of Army 2020, Op STADIA was implemented, which reduced the number of serving Gurkhas from 124 to 45. 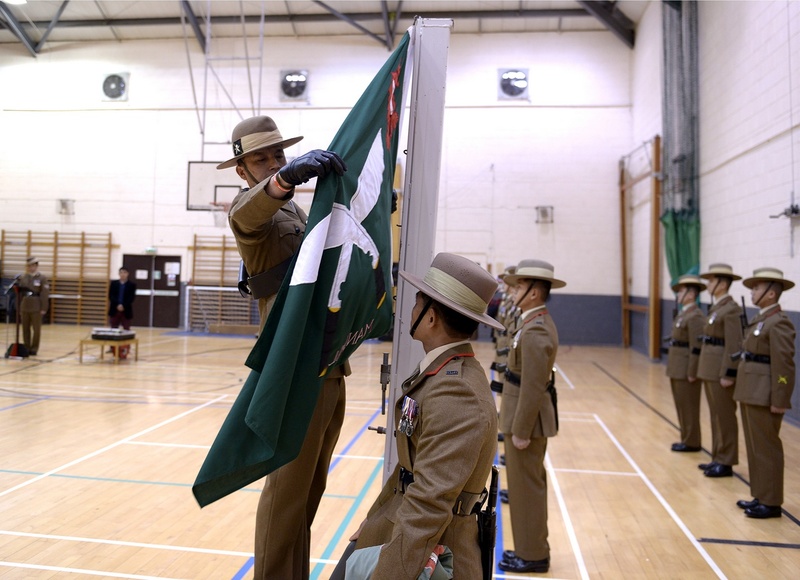 On 9 January 2014, the Drawdown Parade took place and GCM was renamed Gurkha Wing Mandalay (GWM). 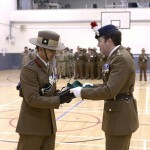 To mark this occasion the GWM flag was handed over to Capt Dhalindra KC by CO IBS Brecon Lt Col J P C Robinson. 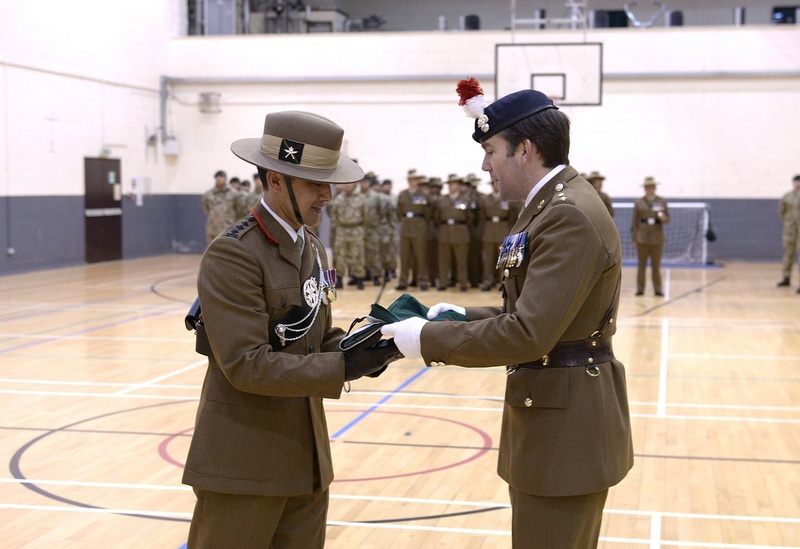 On 9 January each year, the birth of GWM will be celebrated and to mark this auspicious occasion a GWM Trophy will be presented to the Best Rifleman of the year.